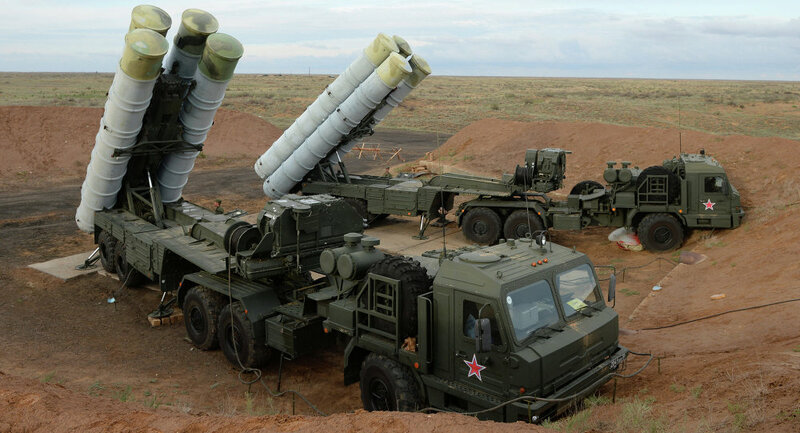 After being thoroughly embarrassed that a Russian-made S-200 anti-aircraft missile, fired by Syrian troops, shot down a Russian reconnaissance plane following Israel’s airstrike on an Iranian position in Syria, Russia is now transferring S-300 systems to their Khmeimim airbase in Syria. In addition, it is reported that 7 other Russian transport planes, thought to carry additional S-300 components, arrived at Mozdok AFB in Russia yesterday. Those shipments may also be headed to Syria. All of this, after back-and-forth accusations and “walk backs” by Russian officials regarding whether or not Israel is to blame for the downing of the Russian plane. Immediately following the incident (about a week ago), the Russian Foreign Ministry blamed Israel, claiming the Israeli F-16’s used the Russian plane as a shield, and that Israel did not give Russian enough early warning to ensure their planes could make it to safety. However, Russian President Vladimir Putin walked back the harsh accusations, stating a series of unfortunate circumstances resulted in the downed aircraft. Yet, in the background, Russia continued to point the finger at Israel, claiming they are nothing more than a US proxy. Then, on Thursday (September 20), an Israeli delegation (led by the Commander of the IAF) traveled to Moscow to present official investigative findings regarding the incident to their Russian counterparts. Those findings confirmed that the Syrian-fired missile was launched while the Israeli F-16’s were preparing to land back in Israel. To make matters more interesting, Alexander Golts, a Russian military analyst confirmed that the targeted buildings destroyed by Israel contained anti-aircraft defense systems. Thus, Russia seemed to acknowledge the facts, but scheduled an announcement for Sunday. But, true to form, the story changed once again. In their official statement, the Kremlin falsified details and once again squarely pointed the finger at Israel, claiming “criminal negligence” and deliberately misleading them. Thus, the beat goes on with the on-again-off-again cooperation between Russia and Israel. Make no mistake, friends. Russia is no friend of Israel! In the recent past, and still to some degree today, Russia is willing to cooperate if it means limiting Iran’s influence in Syria. While Ezekiel 38 makes it abundantly clear that Russia, Iran and Turkey will be the “big three” in an invasion of Israel, none of the three particularly care for one another! All have their own motives and, each with plummeting economies, all have growing economic motive to invade the prosperous and stable Israel. We continue to see the stage being set for the showdown on the mountains of Israel, known as the War of Gog and Magog. The clock is ticking as we see the last days coming to an end. In light of that, I have been especially encouraged by 1 Thessalonians 5:1-11 and hope you are too. Please take a few moments to look it up and meditate on God’s promises to us as believers.